Amber Hall is devoted to a client-first philosophy. Amber is a proven leader and dedicated advocate. Prior to joining Lightfoot, she sharpened these skills serving her community and in various leadership roles in college and law school. Today, she applies this experience to go above and beyond for clients and to meet their litigation needs efficiently and effectively. She represents clients in the areas of medical malpractice and product liability. 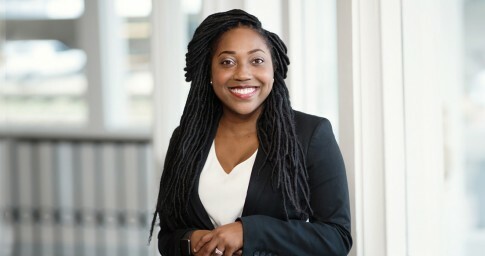 Amber graduated from the University of Alabama School of Law, where she was on the winning team of the John A. Campbell Moot Court Board competition. She also competed on the American Bar Association National Moot Court Team. In addition to moot court, Amber served as editor-in-chief of The Journal of the Legal Profession, Vol. 42, and was inducted into the Bench and Bar Legal Honor Society for her extensive involvement in law school. Before law school, Amber studied political science and philosophy at Arkansas State University. She was a 2015 Arkansas State Distinguished Service Award recipient, which is only given to seven graduating students who have shown exemplary leadership skills and dedicated hours of service to the university and community. Amber was, in part, selected for this award because of her commitment to Arkansas State’s moot court team. She received multiple speaker awards, competed at American Moot Court Association Nationals and served as moot court captain her final year of college. Outside of work, Amber enjoys riding on the back of her husband’s motorcycle through the Alabama countryside and spending time with their two cats, Theodore and Cleopatra.